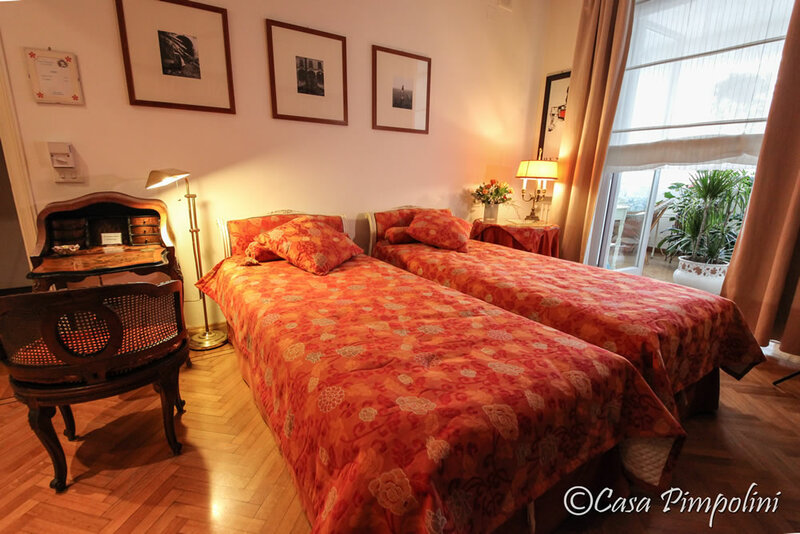 IN THE CENTRE OF BARI COMFORTABLE AND TASTEFULLY DECORATED ROOMS FOR YOUR STAY. 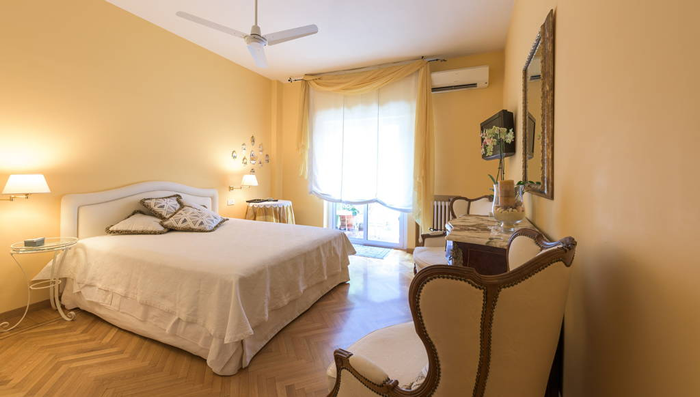 Visitors who want to book a stay in the centre of Bari with a B&B hospitality will find two rooms fully equipped with all comforts and elegantly decorated. The rooms are bright and quiet. Though in the centre of Bari, traffic and hustle from outside will not reach you. A rich, delicious home-made breakfast is served fresh every morning on the cozy veranda. The twin room has two separate beds. A quiet room opening onto the veranda, furnished with a bookcase, a tv, a ceiling fan, a luggage rack, a writing -desk and two antique chairs. 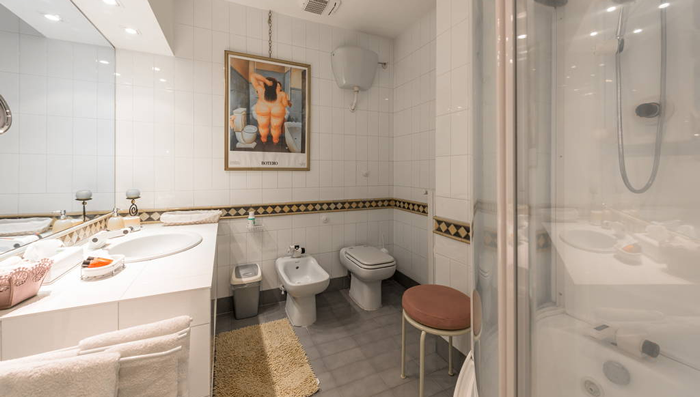 The bathroom is next to the room for private use. A large, bright and quiet room with private en-suite bathroom , a flat screen tv, a luggage rack , air conditioning, and a ceiling fan for those who are not keen on air conditioning. 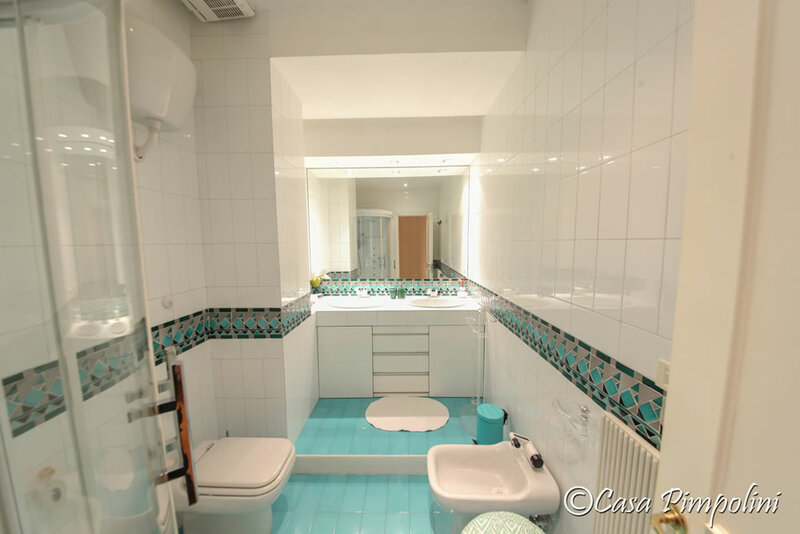 The room opens onto via Calefati through a nice flowery balcony, provided with a cozy, seated corner for smokers .